The Best 6 Gastropubs In London 2018 - Our top picks for great food! There is an abundance of excellent gastropubs in London. From traditional gastropubs situated inside restored Victorian buildings that offer fish and chips to modern venues that serve Sunday roasts and craft cocktails, here are our six favourite gastropubs in London. 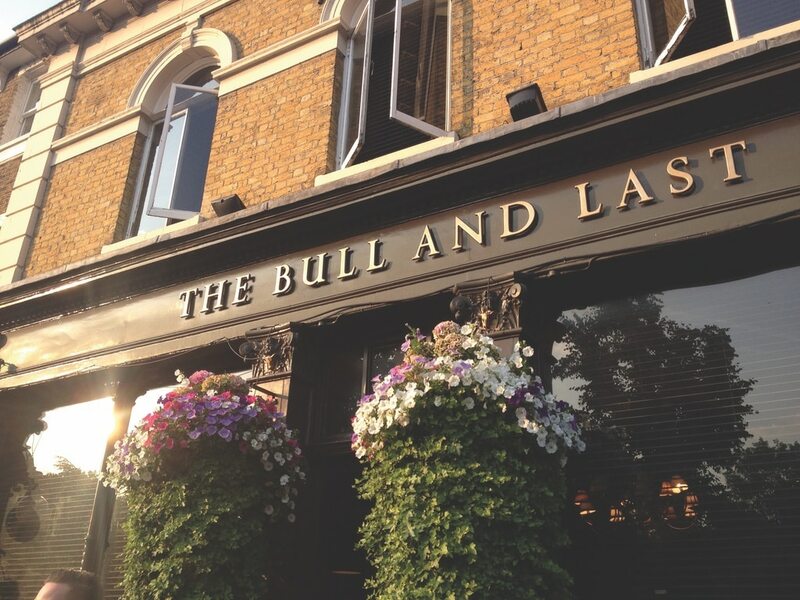 Located on Hampstead Heath, Bull & Last is laid-back rustic gastropub that offers delicious European cuisine with signature dishes like slow-cooked oxtail ragù with soft polenta, rabbit, hazelnut and prune terrine, and of course tasty Sunday roasts. Dog walkers also love this place, since the pub offers pig’s ears and marrow bones for your companion. As for the drinks menu, expect to find a wide selection of both lagers and ales. 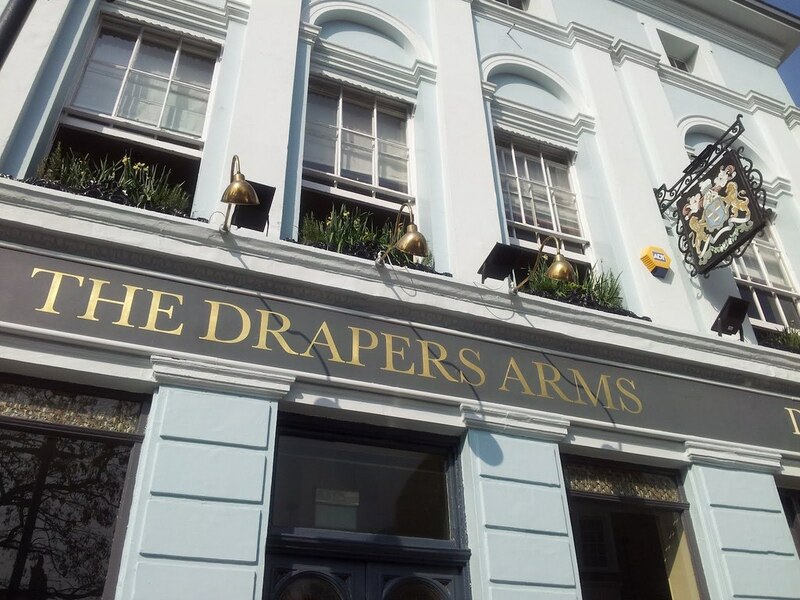 Owned by Nick Gibson, Drapers Arms is a lovely green-hued gastropub with high ceilings where the famous Head Chef Luke Frankie is in charge of preparing a seasonal Brit-accented cuisine. Go for the Onglet steak or try an interesting starter dish that includes mussels, fregola, and nduja. In case you are still hungry, a carrot and almond cake is definitely worth ordering. This gastropub also hosts a number of popular events like the Drink The List and there is a nice secluded garden in the back. If you are looking for that ideal place for a hearty Sunday roast, head out to the magnificent White Swan. This gastropub boasts a formal dining room on the first floor and a traditional bar area which is located downstairs. Try the dirty salt beef sandwich or the Suffolk chicken with garlic. They have an extensive wine list, as well as a nice selection of bar snacks like crispy squid, smoked cod roe, and Cumberland sausage rolls. 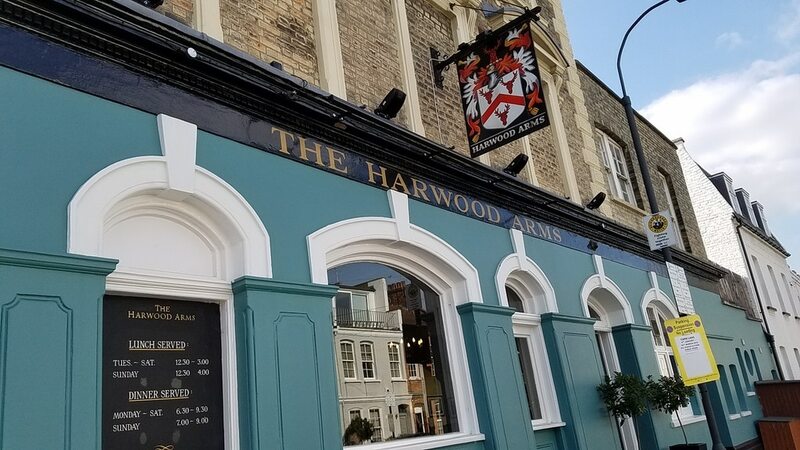 Hardwood Arms is definitely the classiest gastropub on this list. Owned by TV chef Mike Robinson and Ledbury’s Brett Graham, this gastropub in Fulham is one of the only pubs in the city with a Michelin star. Keep in mind that the menu’s always changing, so it’s recommended to call beforehand and check what’s available. The Harwood Arms’ venison scotch egg is extremely delicious and the roast quail with black pudding and mushroom ketchup is also spectacular. They have a pretty serious wine list here, as well as a nice selection of beers. Anchor & Hope is a lovely gastropub with jam-packed tables, British cuisine, and dressed-down service. The daily menu here is always amazing and includes a variety of the butcher’s offcuts and seasonal scoff. Order the rabbit liver and kidneys on toast or try the steamed cod with crab beurre blanc and spinach. Keep in mind that this place doesn’t take bookings. 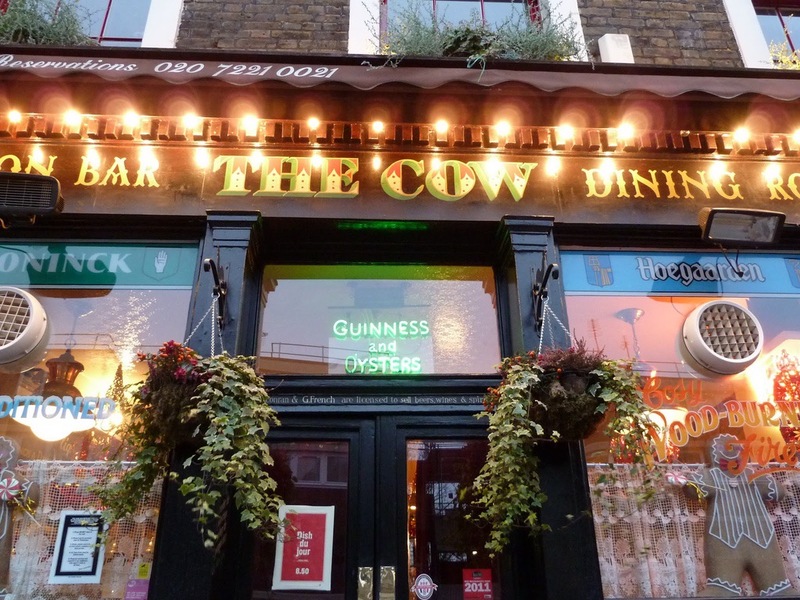 Located opposite of the Olympic Park in Westfield Stratford City, The Cow is an Irish-themed gastropub that offers Guinness and Belgian beers, as well as some bar food like oysters and fish and chips. They also have a lovely dining room where seafood specialities like whole crabs, fish stew, moules mariniere are being served.